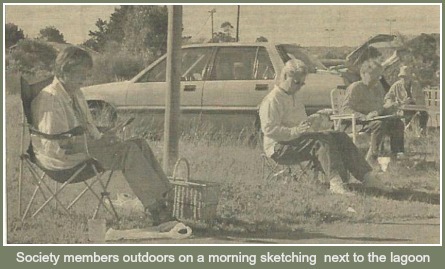 Sedgefield Art Society was founded in 1992 with 14 members. Barry and Pat Ochse, Natalie Veary and Bernard Roe were the instigators. 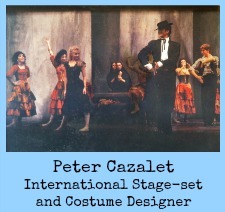 Together with Carl Byleveld, Jim Cooper, Keith Forrester, Eleanor Hartley, Charlotte Kettlewell, Lindsay Page, Wendy Prall, Coral Smith, Rosalind Thesen and Jeanette Titterton, these were the founding members. Bernard Roe was elected the first Chairman. The initial membership subscription was R10-00 a year!!!! The aim of the Society was to promote local art and to encourage the development of the artistic skills and knowledge of its’ members. To begin with they decided to concentrate on portraying the beauty and charm of their town and its environment. 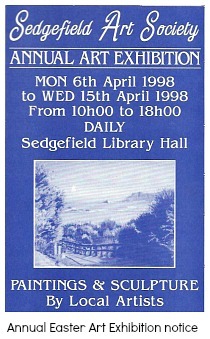 This was reflected in their first exhibition at the Sedgefield Library Hall in April 1993. Regular annual exhibitions were to be held in future years. 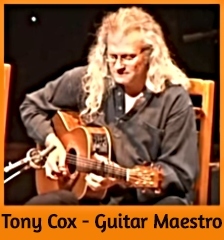 The small club has consistently benefited from a wealth of extraordinary talent diffusing it and the willingness these artists showed to share their expertise with other members less knowledgeable and experienced, offering positive criticism and encouragement. 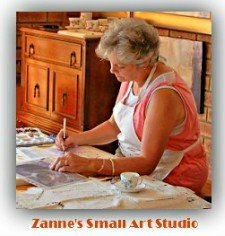 For countless years, noted SA artist, Lindsay Page has exhibited her art throughout the country and is an excellent teacher. 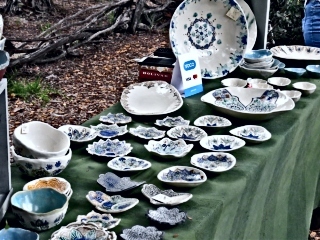 Wilderness resident, Keith Forrester is one of the most popular artists at Art in the Park in George. 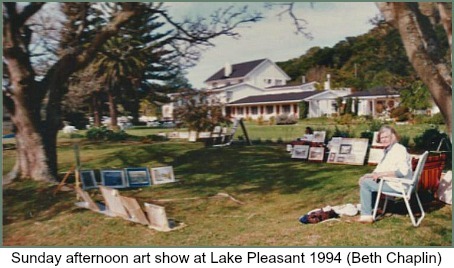 Loyal contributors, Pat and Barry Ochse who lived at Elandskraal sold many of their works locally. They are both now deceased. 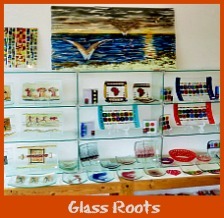 Cherry Viljoen has had several solo exhibitions throughout South Africa and remains a great asset to the local society. Bridget Randell does the most amazing bronze statues and she was commissioned to make a life-size statue of Chance a famous polo pony. The Art Society was invited to her studio where she explained the intricate processes involved in the making of this bronze. 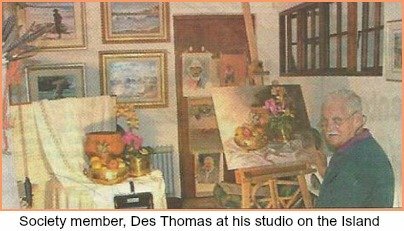 Ex mining engineer, Des Thomas who retired on Sedgefield’s Island paints out of his home studio and has established an international reputation for himself. 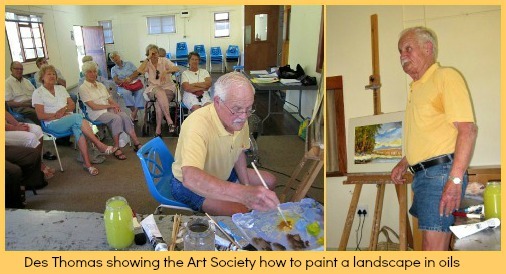 Des held a workshop demonstrating how to paint a landscape in oils at the Art Society monthly meeting. 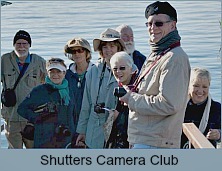 The members are always very indebted to Des who has shared his knowledge and expertise many times. He impressed everyone by the mere fact that he had no image to copy. He did a sketch which he left at home and he then painted his scene from memory. 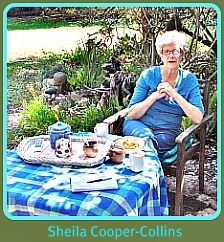 Well known local “dung artist”, Sheila Cooper-Colins continues to experiment with many mediums and teaches weekly classes from her home. Margaret Bolt, a member of the S.A. Watercolour Society is very loyal to the Society and is always willing to demonstrate water colour techniques. Sedgefield Art Society meets regularly and members are exposed to all the diverse mediums, skills and styles of the group ranging from vivid oils to pastels and water colours, calligraphy, sculpture, wood carvings, pen and ink, acrylics and silk painting. The society has also initiated a good many enjoyable outings, at times combining work and social occasions. Examples are, outdoor sketching with a braai at Goukamma Nature Reserve, lunch and sketching at Lakeside Lodge, a morning of outdoor painting at a chosen spot on Sedgefield lagoon to mention just a few. There have been fascinating workshops by authoritative professional artists such as Sheila Cooper-Collins of Scarab paper fame - a local, who, as a member, has also had a turn at being chairperson of it. 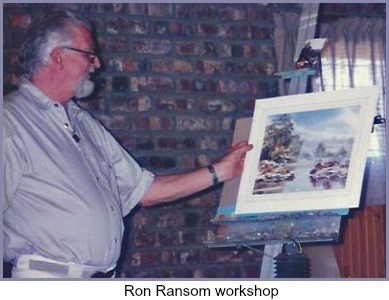 Another is internationally acclaimed water colour specialist, Ron Ranson from the UK who delighted with his clear, simple, humorous and highly individualistic style that within minutes created a hauntingly evocative landscape. And then there are the fun, purely social occasions like a masked Christmas party to celebrate the conclusion of another productive art-filled year! 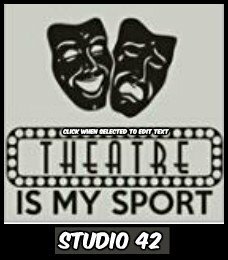 The talents reflected in the club are continually changing as members, mostly made up of retirees who have the time to indulge their love of art, come and go, for many different reasons. Among those who have passed on, there are a number who made a considerable contribution to the Art Society. 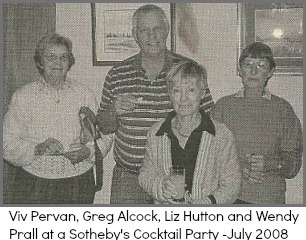 In late June 2005, the senseless murder of 79 year old “good Samaritan,” Lorna Pobjoy, one of Sedgefield’s favourite citizens rocked the town. 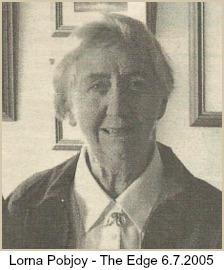 An active person in the community, she was said to have been one of the Art Society's best chairladies. 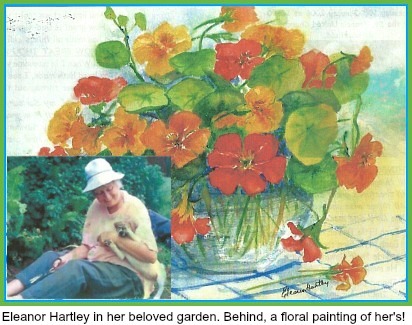 At the end of the same year on 30 December 2005, the small Sedgefield community was again shocked by the sudden death of Eleanor Hartley another gifted unassuming artist also an avid and enthusiastic gardener. 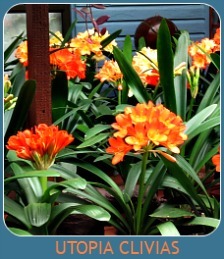 This love was reflected in her fine paintings of landscapes, flowers and garden scenes. Jeff Stevenson passed away whilst he was chairman in 1999. Brilliant calligrapher, Geoff Farnaby tragically fell to his death in 2008 when he missed his footing while taking photographs at Storms River. Throughout the years, newcomers to the Sedgefield Art Society have had the effect of keeping the group dynamic and interesting as members feed on each other’s enthusiasm and love for their chosen medium of expression. 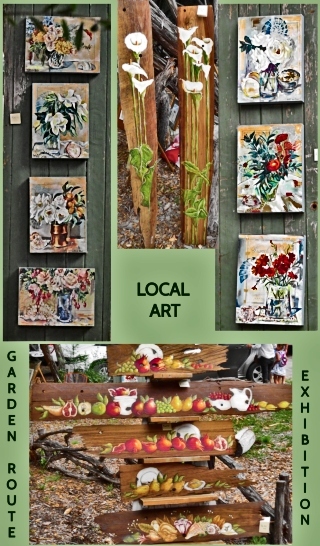 It all makes for fascinating local art exhibitions. 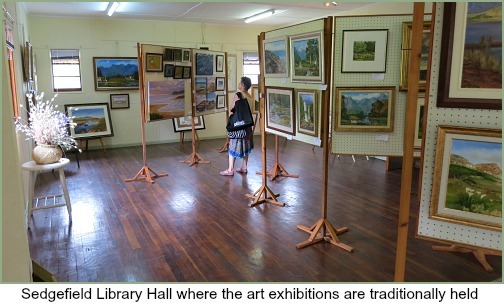 There have been many exhibitions over the years to surprise and delight locals and visitors alike resulting in appreciative sales of Sedgefield Art Society artworks. The regular popular Easter exhibition has been incorporated into the Slow Festival that also takes place over the Easter weekend. The art exhibition has moved outdoors onto the Village Green next to Kingfisher Drive. Here everyone can experience the vibe of other activities taking place in the vicinity and enjoy the picturesque setting while wandering through the unconstrained space of the outdoor gallery. 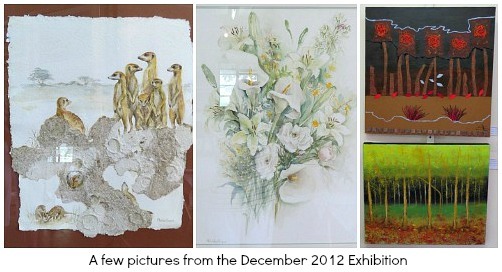 There is also an Annual December exhibition at the Sedgefield library hall. Prominent local figures supportive and enthusiastic about our local artistic talent have readily accepted invitations to open Sedgefield Art Society’s Exhibitions like Knysna cultural doyenne, Gillian Carter, highly acclaimed Knysna artist and teacher par excellence, Dale Elliot, popular TV and radio personality, Jeremy Dawes, Bruce Lavelle of Sotheby’s International, and Doris Naylor, Sedgefield’s local councillor. 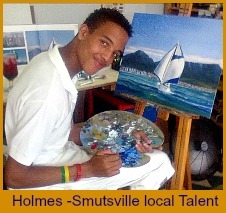 Shortly after Sedgefield was inaugurated as a Slow Town in October 2010 it was decided to promote mosaic as a creative way to beautify the village. 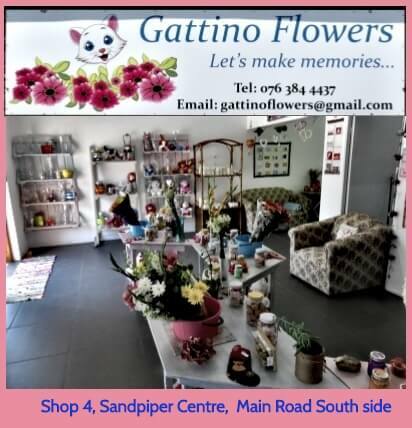 The NPO, Masithandane had initiated a job creation project for the unemployed by teaching a group how to mosaic so this gave them an opportunity to employ their newly acquired skills too. The Sedgefield Art Society was delighted to support the call to "mosaic" Sedgefield and to assist the town achieve a distinctive appearance in harmony with the Slow Town concepts and values. A number of members did a collaborative project with Rhodes Hanene at the library to commemorate the 2010 Soccer World Cup hosted by South Africa. It was a new experience for the artists to attempt the medium of mosaics. They can be satisfied with the result that now adorns the wall at the entrance to the JB Watney Memorial Library as it has been highly praised. In 2012/2013 Viv Pervan, a keen and long serving member of the group, orchestrated calendars made of prints of original paintings done by Sedgefield Art Society. All proceeds went to Sedgemeer Park Retirement Home when they were extending their facility and building 12 new cottages on land purchased in 2011. This project has been consolidated with the existing home next door. Viv stayed in one of these new cottages on their completion until she passed away in 2015. The Sedgefield Art Society celebrated its 20th anniversary in 2012 and in that time it has been a place of camaraderie for many gifted and distinguished artists and the beginning of years of pleasure for budding artists just learning their craft. All have been welcomed - such is the nature of the people and the place in this little piece of heaven called Sedgefield. 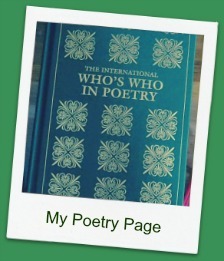 References: With sincere thanks to Wendy Prall for her input and for the loan of collected photos, documents and newspaper articles in her possession entitled the History of Sedgefield Art Society.